DEL MAR — As the May 13 meeting of the 22nd District Agricultural Association began to wind down, activities at various locations throughout the Del Mar Fairgrounds, which it governs, were starting to rev up. With the Bernardo fire rapidly making its way across the 1,548 acres it would ultimately char, nearby homeowners were ordered to evacuate, a tough move for most, but one made more difficult for many in the area because they also needed to find shelter for their horses. With the meeting being conducted, an emergency phone rang and fairgrounds staff went into action to prepare, as they had done in previous wildfires, to take in the evacuated equines. 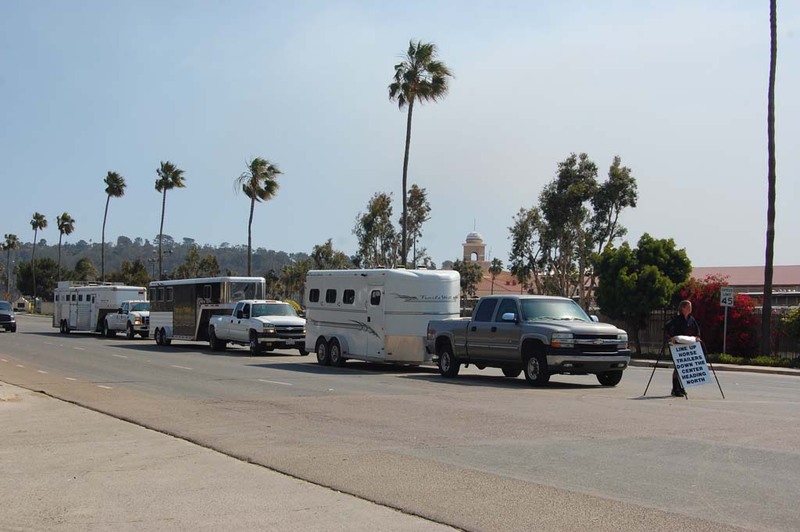 About 200 went to the nearby Del Mar Horsepark facility, but space was limited because a horse show was booked and stalls were unavailable. General Manager Tim Fennell said Kenny Baker, the equestrian center manager of the arena complex, “took a leadership role” to open the rest of the state-owned facility to the animals. Fennell, reporting at the June 2 meeting, said in all the fairgrounds took in about 1,100 horses and donkeys and a few cats and dogs. Fennell said employees from every department from accounting to concessions pitched in to help out. Once things calmed down, Fennell said his concerns continued because the fire season had started early. He said fairgrounds staff was “already putting on our thinking caps” to have a plan in place should fires break out during the fairgrounds’ two major events — the San Diego County Fair, which runs through July 6, and Del Mar horse meet, which takes place from July 17 through Sept. 3. Director Russ Penniman said he was told staff went “above and beyond” during the evacuation.